The church yard at Las Trampas had a small graveyard in it. The village of Las Trampas was founded in 1751 and the church was built between 1760 and 1776. The historic marker said, “Parishioners periodically re-mud the adobe walls, which are as much as six feet thick.” I guess eventually those ever-thickening walls will start to encroach on the graves. 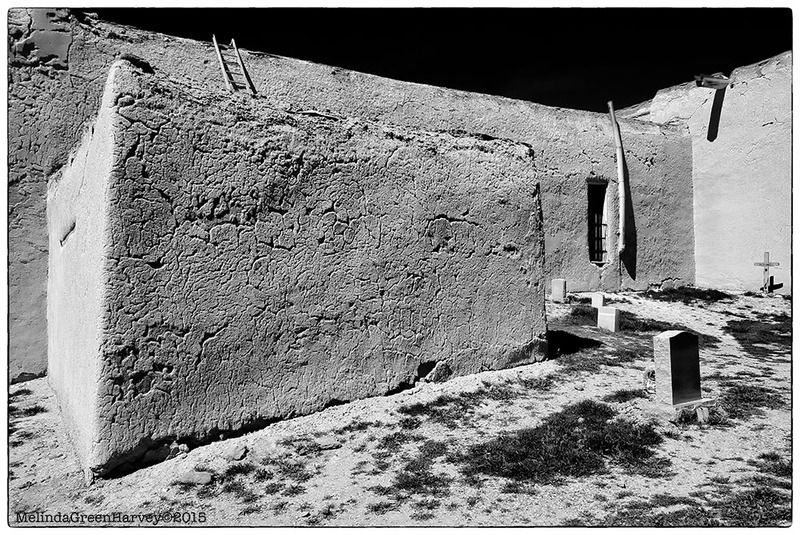 Posted on April 15, 2015, in Photography and tagged 365 photo project, architecture, black and white photography, cemetery, Las Trampas, Las Trampas New Mexico, melinda green harvey, monochrome, new mexico, NIK Silver Efex Pro 2, one day one image, photo a day, photography, postaday, San José de Gracia Church, Santa Fe Photographic Workshops. Bookmark the permalink. 1 Comment.